A railroad conductor in Virginia was struck by a locomotive and seriously injured.His life hung in the balance for a year and eventually the injured worker gave up on the railroad claims department and hired Eddie Wilson and Francis Hajek to represent him for his serious injuries. 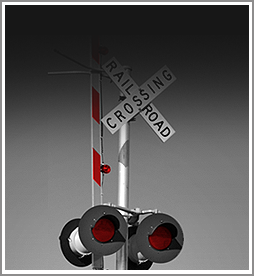 The railroad conductor struck by the locomotive suffered serious and debilitating injuries. The conductor lay in the hospital for over a year. He finally gave up on the promises made to him by the railroad claims department. The conductor hired Eddie Wilson and Francis Hajek to represent him. Once the legal proceedings started over the injuries, Francis and I requested from the railroad defense lawyers all films, pictures and any other materials that the railroad supervisors made on the night of the accident. We had a right to those materials under the Rules of Court that govern civil injury cases. The railroad lawyers represented to the judge that no reenactments were done of the injury. Francis and I knew that reenactments, photographs, videos, and interviews are done after serious accidents. We used our railroad contacts to get the word out to railroad workers about what dirty tricks the railroad supervisors were trying to pull on our injured railroad client. Within a week, a package was left anonymously at our law office. There were copies of videos, photographs and diagrams that resulted from a reenactment by the railroad supervisors. We asked for a hearing before the court, showed the judge the evidence the supervisors had withheld, and the railroad lawyer was sanctioned by the Court. This is one example of why you need to hire an experienced railroad lawyer who is also experienced in the ways of the railroad and its supervisors who pull dirty tricks. The law firm of Wilson & Hajek knows their dirty tricks and will go after them when they try and pull these dirty tricks on injured rail employees.